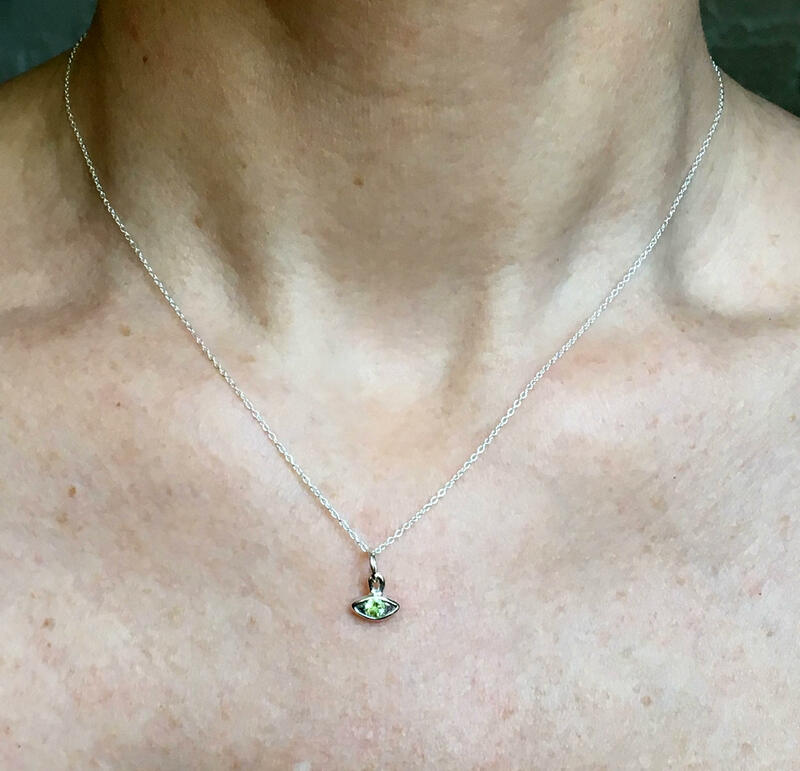 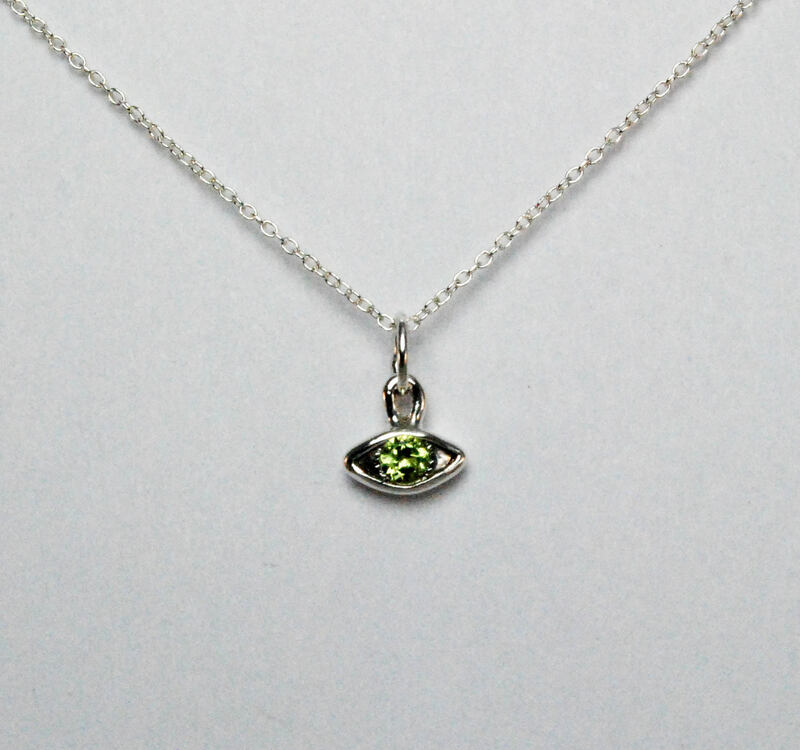 A beautiful pale green 3mm peridot is set in a Sterling Silver eye. 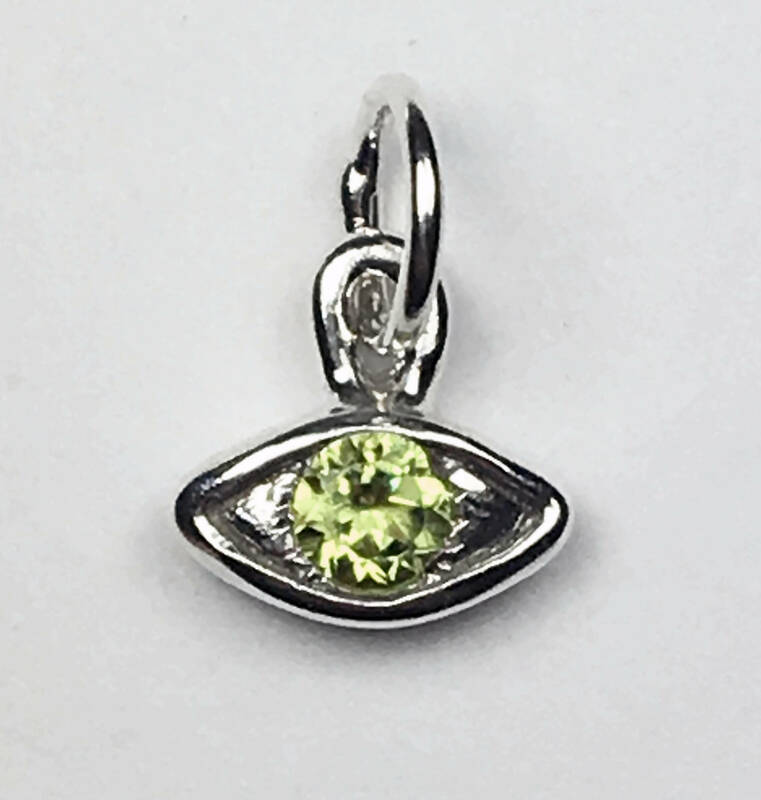 Eye charm measures approximately 8mm wide x 8mm high (including the loop on top). 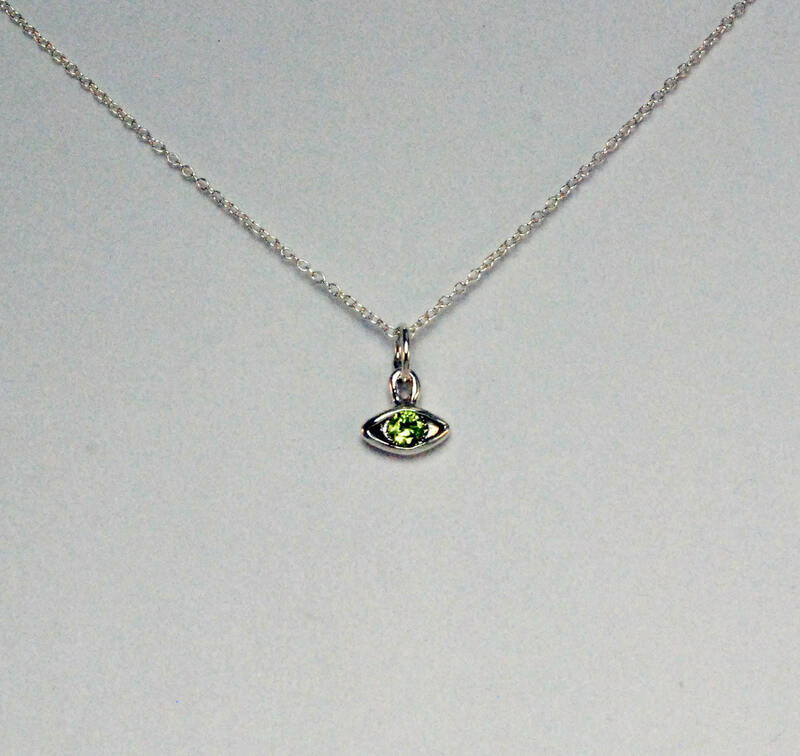 It is available as a charm only or hung on a thin sterling silver cable chain.